With July's release of 'Workspaces', our platform now supports entire organisations through rich project project control and business intelligence. A big step for us, and an unparalleled opportunity for client customers. With this in mind, we wanted to share this post to help highlight how to maximise our ever growing platform - whether you are in charge of a full company, programmes or projects. Providing business intelligence across all programmes and projects. 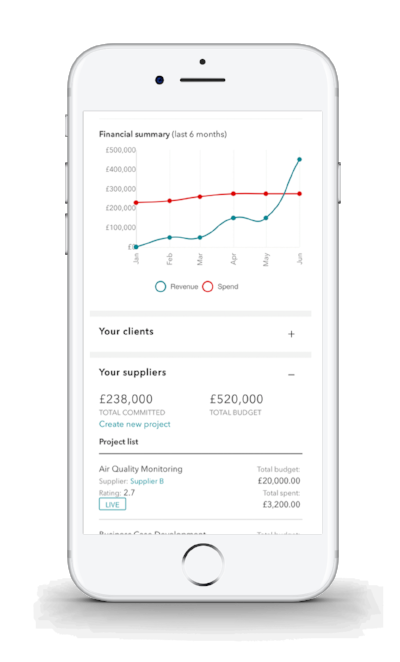 Giving stakeholders a reliable, real-time solution to the big numbers - including total budget, total spend and overall project performance - as well as impact metrics such as spend on SMEs. 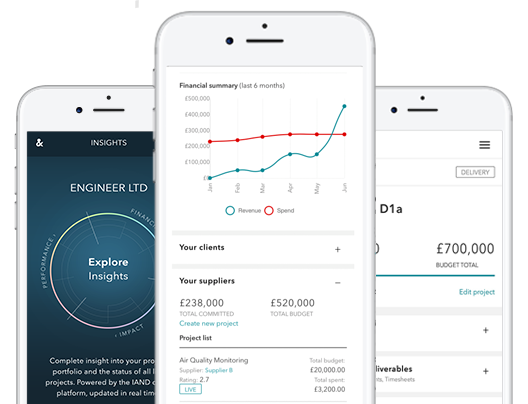 Try Insights today, available to all clients with live projects. Workspaces offers information, updates and shared tools across a set of projects. This makes Workspaces a dynamic solution to monitoring performance, spend and risk, on a programme level. Set up the right Workspaces to support your organisation, helping to track progress across frameworks, departments and major projects. Talk to us, on how to set up Workspaces that best works for your organisation. The core of our platform. This is where clients and suppliers collaborate on projects, manage invoices, timesheets, contracts, deliverables and more. Each action, such as approving an invoice, is logged for automated compliance, and helps produce reports across our platform. Now also includes ROI tracking. Get in touch to find out more. We are continuously expanding our platform, to help organisations gain better project control. If you know other companies or individuals that could benefit from our offering, please share IAND or why not suggest booking a demo.